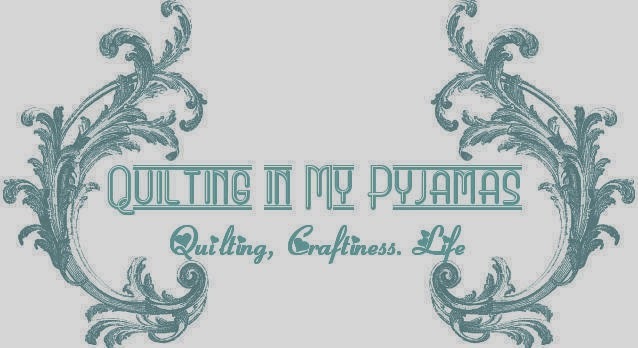 Somewhat ironically, given the name of my blog, I have the worlds largest collection of daggy pyjamas. I know I'm about to burst your bubble because you think I swan around here in satin peignoirs with those fluffy toed high heel slippers quilting my little heart out but honestly my pyjama collection consists primarily of washed out flannalette pants that no longer have functioning waist elastic. I want you to imagine me hoisting my pants up every three steps to avoid flashing my plumbers crack (mmmmmmm attractive)and throw in a mental image of a few ratty old t-shirts that are no longer fit for human eyeballs, because that pretty much sums up my sleeping wardrobe. In case you're not gifted enough to creatively visualise this hot mess, here is a picture because I want everyone to know exactly what I'm talking about. Disclaimer: Don't send me your therapy bills . If you actually conjured up a mental image or looked at my picture you're on your own. It's not my fault you did what I told you to do. While I was staying with Little Miss Sunshine two things happened that relate directly to this post. Firstly, I saw some pretty cool kids pyjamas at the markets and then I saw Little Miss Sunshine wearing pretty pj's every night. I took one pair of pyjamas for my entire stay because I only have one set that are fit for public viewing. Last time I nipped outside in my jammies to drop the bin at the end of the driveway the garbo's gave me 5 dollars because I looked like a homeless person. Side note: Basically I'm mingy. I refuse to pay 40 bucks for something Im going to wear to bed because it has Elmo/Flowers/Snoring Sheep (insert other pyjama related themes here ) on it. For 40 bucks I can buy 1/16th of a pair of cheap Ferragamo's and feed my shoe addiction. This led me to thinking about the last pyjamas I made from crusty old sheets. And while I thought I was pretty crap hot when I made them almost 2 years ago, they aren't doing me much good sitting in the bottom of the drawer not being worn because they're hideously fugly. So with a plan in my brain and trepidation in my heart I set forth to make myself some pretty pyjamas which meant I had to go to Spotlight and get some fabric. And I had to buy 12 metres because it was on sale and Spotlight may never have a sale again. After I'd washed that fabric, and made myself a pattern from an old set of pyjamas (yes I made a basic pattern ) I made this set of pyjamas so I can look like a totally hot babe while I'm asleep with my mouth open drooling on my pillow. And then I did a long leg version. Third time was a charm ! Well done! These are awesome! Yay for you & your pattern making skills! Darling! A great idea for using up the 15 yards (I am not kidding! )of flannel that I have in storage tubs. I really like the ruffled bottom edge...much nicer than a standard hem. Fantastic! I can just picture mysellf in those ruffled shortie ones..... and I can also picture Tony's face when I emerge from the shower !!!! Mr P is certainly a very lucky guy! God, you make me laugh! And I've learnt a new word - fugly. I lead a sheltered life having no kids to teach me these words! Can you make me a pair now please, as I sit here in yoga pants with the waistband near shot to hell and a twelve year old sweat shirt showing slight (ha!) signs of wear! You aren't the only one not fit for the human eye some days!! Have always loved that word... "fugly" pretty much sums up my PJ collection....I won't be making any though...I bow to your pattern making/sewing skills....oh awesome one. They're AMAZING...just like you! And I thought you said you don't do garment sewing. Ahem. PS...I'm sitting here in my flannel-back satin purty PJs typing this comment. I ♥ purty pyjamas. ☺ Yours fit the bill. Too too funny Shay! I too make crazy pyjas. I use sheets all the time to get really great feelings in the night! You have taken homemade to another level though and I do wish I'd seen the real person in the shorts! How freaking awesome! Those are all adorable. I'll bet you'll be prancing down the driveway to take the trash to the curb just so you can show off those stunning beauties! Actually, my lounge-ware (since I sleep in the buff, jammies are just for that time between a shower a bed, hence my term lounge-ware) are in the same state as your former jammies. I may have to take it up a notch now! I feel bad that I kinda instinctively knew you had fugly PJs... though when I think of PJs I do think of the fugly ones - I once made a pair for myself out of fluro green fleece but the legs were so wide I could fit entirely in each. Still wore them for a couple of years though, but now I have an electric blanket so I'm free to sleep sans-pants. I hate how every time Spotlight has a sale, you know it's their last. Even worse, if you don't buy it, there's always the risk that someone who either doesn't deserve it or doesn't appreciate it, or worse, both, will come along and buy it. You saved that fabric from the cruel hands of fate, and you should be commended for that. Woo hoo! Does this mean you can call yourself a dressmaker now? After all, you have made clothes for a real live person to wear! ( as opposed to a doll of something I mean, not for a dead person) Good for you. Great Job on the New PJ's..Looking Good!! CUTE CUTE CUTE!! Great work and you will be looking good in those!! It's a given that Spotlight may never have a sale again so you have to buy as much as possible - just in case!!! Wow - pretty impressive! The ruffles are great - I HATE making ruffles, but I think they are so cute! Oh my gosh, the "third time is a charm" PJs are AWESOME!!!!!!!!!!!!!!!! Just gorgeous. I'd buy them in a store. Great work, great colors, great pattern. You're adorable! Totally unrelated, but I've been dying to tell you: I have a weather app on my iPhone. You can have a little page for various cities. So, I have cities where my family lives and where my two friends live, and where YOU live! Today, according to my iPhone, it's 52 degrees F, lookin' sunny for the next two days, but you'll hit some clouds on Wednsday. I was considering taking you to task on the mental image, but then I read the legal disclaimer. Oh well! Keyooot pyjamas! Congratulations on the ruffly bit, it looks pretty terrific. Good thing Spotlight had that once in a lifetime sale. Wow, I'm still shaking slightly from having my mind picture wrecked. Thank goodness we have pictures of the new PJs to sooth our shattered nerves!! PJs look great, well done you! I love your frilly PJs!! They're so cool you could wear them shopping!! HAHAHa.. and you said you cannot garment sew....lyer...I wish my PJs would look as good. Awesome sets!! Love,love,love your new pj's,I'm sooo glad I wasn't drinking my coffe while reading this post or it would have ended up on my screen....when are you going to hold the fashion parade?? :) Barb. I am thinking that my sleeping wardrobe and mine would get along well. I remember going on a girls weekend several years back in my "best" pj's and being mocked relentlessly. But it appears that the hubs doesn't mind what I wear, as long as it comes off at some point (wink, wink) so I have very little motivation to change my ways....and I agree, the money is better spent on Fluvogs (mmmmm, shoes!). But I am tipping my hat (as I type, I am actually dressed up as a witch to greet little kids coming to my door for candy) to you for your most excellent pajama sewing accomplishment! The ruffles take you to a whole new level of fancy my friend! Oooh pretty PJ's now you need to take another holiday to show them off. 12m will make just a few pairs of PJ's won't be seeing you in the old ones anytime soon! Shay, I got your ~sweet~ package this past week, thank you so much! We'll see what can come of those great prints. Thank you! I'm really laughing out loud here Shay, and reading it all to my Larry, (he thinks you are something else!)! Now surely you do not drool, goddess of the pj's that you are. Your jammies are so cute, I'd say you have a great set now; grab that Mr. P. and tell him you'll be needing a holiday!! Love all of your new "your PJ's. They are absolutely fabulous! I get the run down PJ syndrome. However, My Guy doesn't. So I spend the money for nice PJ's (all for him of course). Fantastic job on the PJ's they look better than bought ones. I only buy new PJ's when i go into hospital for an op. So mine are pretty manky as well but I do have a couple of PJ patterns floating around just hasn't been a priority to get out and do something with them. Zips are easy if you can do ruffles Zips will be no problem. You are too darn funny! I really did laugh out loud about the 5 dollars. You did a great job on the PJ's. I need some new ones also, seems most mine shrank! my faves are the shorts/tank. Should be perfect for the summer weather that is probably on your doorstep! dayam! those are awesome creations! What will Mr.P think? He'll have the shock of his life thinking that someone else has entered his bed???? My pj's are ratty and awful. I'm just as embarassed. I adore the purple set, so cute! Those Pyjamas are SO cute! I love the purple set! Nice work.